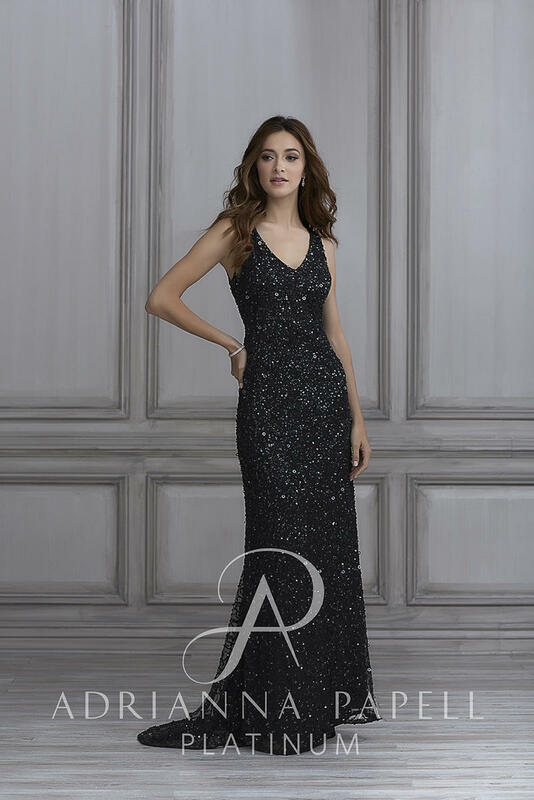 Inch after inch of this gown is coated in crunchy style sequin pattern. 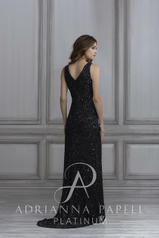 Shows off a v-neckline and a slight train. Fishing with a zipper back.